Madonna was granted a temporary restraining order on Wednesday to halt the sale of a love letter that Tupac Shakur sent her from jail. The singer filed in New York State Supreme Court to stop the auction of a batch of 20 other items that belong to her. Gotta Have Rock and Roll had planned on kicking the auction off Wednesday, but the pop star said in the filing that she wasn't aware the items were no longer in her possession and up for sale until she read news reports. "I was shocked to learn of the planned auctioning of the Shakur Letter, as I had no idea that the Shakur Letter was no longer in my possession," Madonna said in the court documents. "I never sold, gifted, transferred or otherwise disposed of the Shakur Letter, or granted anyone else the authority to do so." The lot, which also includes a hairbrush with Madonna's hair in it, a pair of underwear, photos and an old checkbook, was cosigned to the auction company by Madonna's former friend, art consultant Darlene Lutz, according to the legal paperwork. 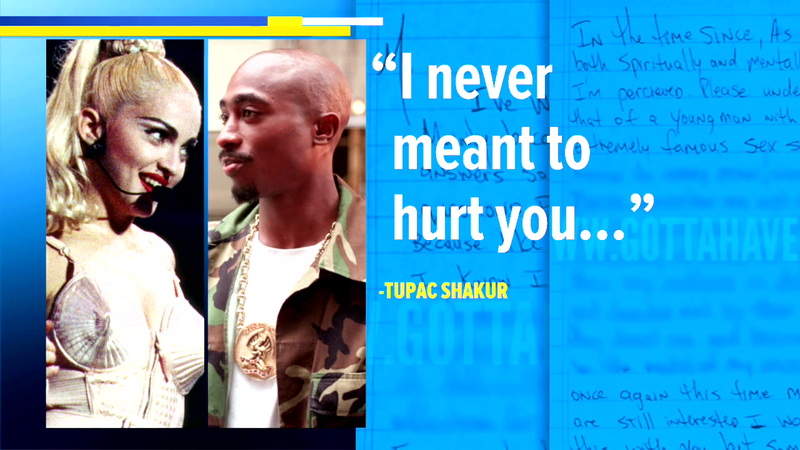 In the letter, Shakur, who once dated Madonna, indicates that he ended their relationship because of her race. "For you to be seen with a black man wouldn't in any way jeopardize your career, if anything it would make you seem that much more open and exciting," Tupac wrote in 1995. "But for me at least in my previous perception I felt due to my 'image' that I would be letting down half of the people who made me what I thought I was." The rapper was shot and killed in 1996. Those contested items were not among the pieces of Madonna memorabilia up for auction on Wednesday on Gotta Have Rock and Roll's site. The company and Lutz have been ordered to appear for a hearing on September 6.